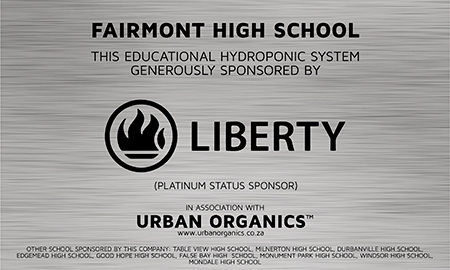 We approached a few large companies to see if they would assist in sponsoring a School or two with the installation and setup of an educational hydroponic system to teach our younger generation about the need to conserve water and to be aware of future food security and have fun at the same time. 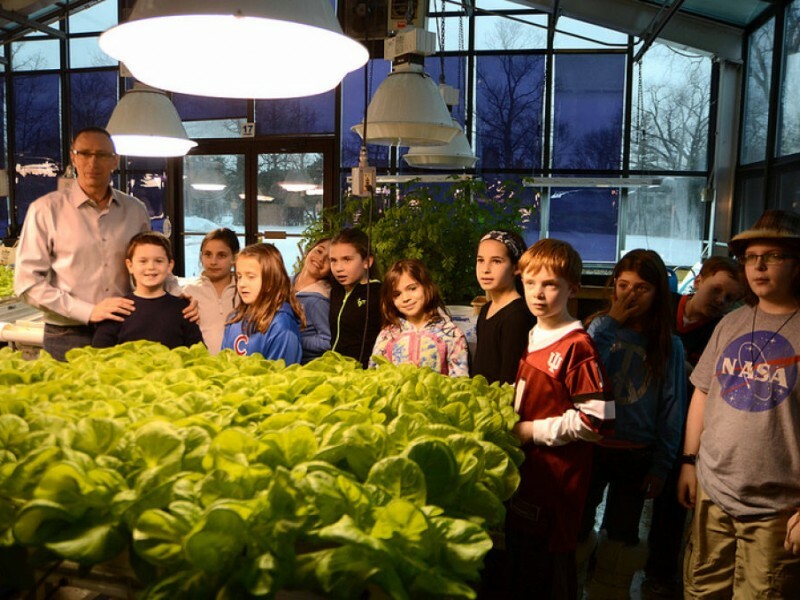 The hydroponic systems and the simple methodology amazes both adults and youngsters alike. 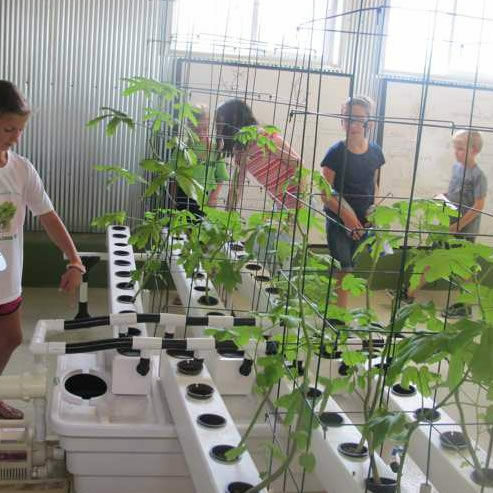 We were inspired by the interest shown by everybody that has had the opportunity to see how this technology can grow, feed and sustain a family with so much edible plants from such a compact system. We are all aware that conventional plants need hundreds if not thousands of litres of water to reach maturity, most of which is lost to the ground or evaporated on the surface. Our systems are closed and only the water the plant needs and consumes are used while the rest is constantly circulated. If we want to ensure food security into the future in a water scarce country then the best place to inspire our youth is in a school environment, after all it is our next generation that will be our farmers and providers in the near future. We have custom built a combination of Horizontal as well as a Vertical Hydroponic Systems that will be supplied from a larger automatic self filling water tank. Students will be able to produce from herbs, salad leaves, flowers to taller vine type plants like tomatoes, green peppers, chillies etc. all in the two growing systems supplied. All we require from the school is a suitable place to install, an electrical power point and an unused tap. 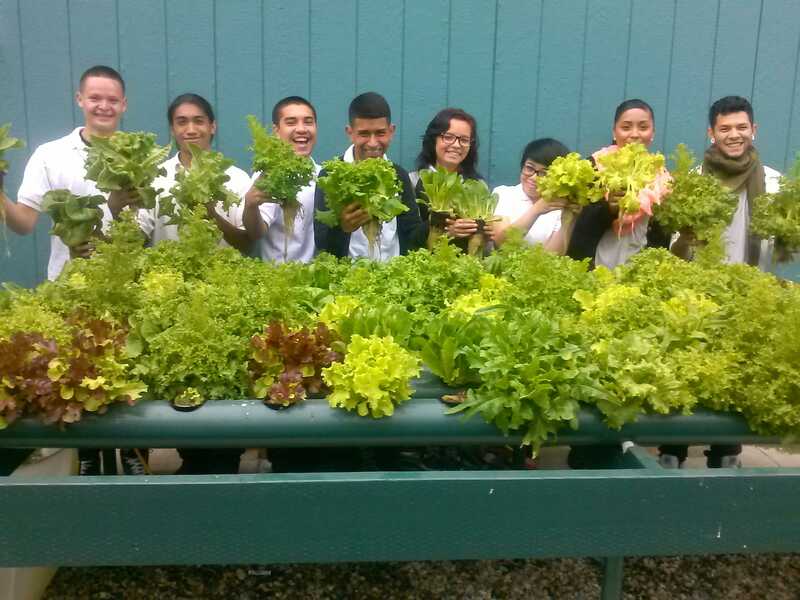 Urban Organics™ will install, train, do all the initial planting and hand over a turnkey system to a Master-in-Charge and/or a group of responsible students. There is thus almost zero cost to the school save for some water and minimal electricity for the economical pump. 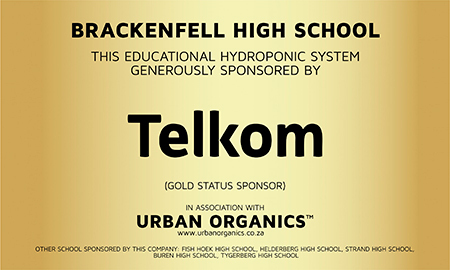 We will offer ongoing advice and help and maintain the system to ensure it is 100% operational and even supply all the nutrient to the school for as long as the corporate elects to sponsor that school. Urban Organics™ will maintain and replace any defective part to ensure it is always in perfect working order, we cannot however cover for malicious damage and or theft. 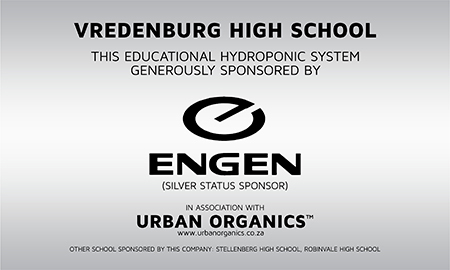 Besides a passion to share the knowledge, we will target the parents of schools who have witnessed the programme and see value in it to purchase a domestic installation via the school that will in turn receive an incentive from Urban Organics™ towards their school fund raising. In return we will co-brand our systems with a high quality colour domed logo onto the systems as well as installing a prominent Plaque with the corporates name and the status and other schools it sponsors. Besides your brand been entrenched into the youngster’s minds, it will also be highly visible to the many parents that will see and hear about the success of the project. 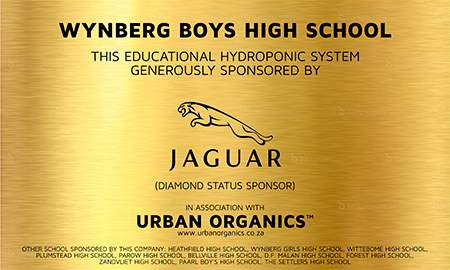 We will further request that the school publishes it and publically thanks your Brand as the Sponsor for that school. All sponsors plaques will be proudly displayed above the system, their branding will also appear on the system itself to gain traction or their brand.